Appearance: A medium to full red-purple colour is immediately evident. Aromas: The nose is distinctly fragrant showing aromas of blackberry, raspberry and vanilla from the wines French oak maturation. Palate: Clean, concentrated and soft dark berry fruit underpin a wine that shows fleshy youthful tannins. Food: Well suited to roasted meats and tomato based pasta dishes. 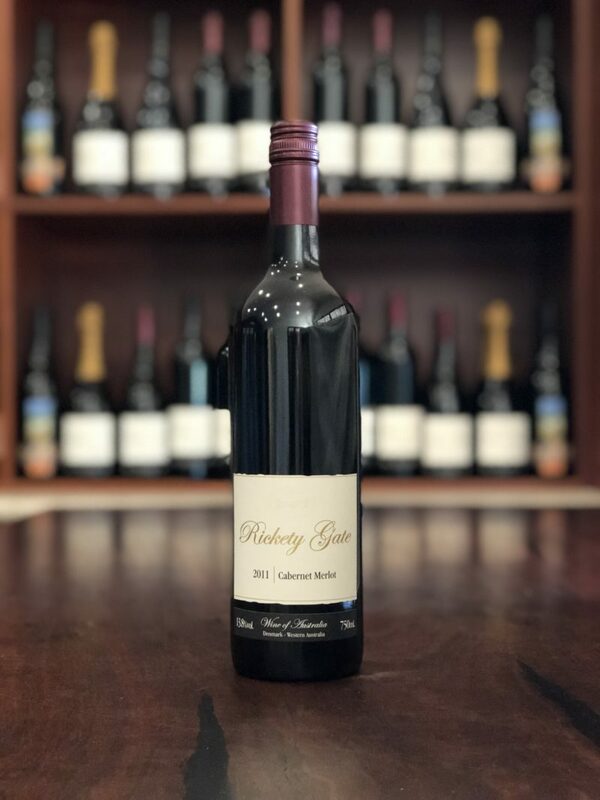 Cellaring: This youthful wine is approachable but shows strong briary and dark berry fruit sweetness that will allow it to develop for years to come. The 2011 vintage in the Great Southern region was one that presented many challenges, but as in most circumstances with challenge comes reward. While it was a relatively mild winter, spring was above average for rainfall and the vines responded with good growth. Unfortunately, a storm in late November occurred during flowering and the sauvignon blanc and cabernet sauvignon flowering was particularly affected by small rice sized hail. This resulted in below long term average yields for these two varieties but fantastic flavour intensity. The temperatures through spring and summer were above average, and with good canopies the fruit was ripening quickly. A hot spell between Christmas and New Year meant that moderate irrigation was required during this period to keep the canopy healthy and functioning. The vines went into the final ripening phase in great condition with moderate crops, good canopies and no disease to speak of. By the middle of February the flavours were presenting beautifully and harvesting commenced. It was an intense period of harvesting as the flavour window was quite narrow and the fruit had to come in. It was all hands on deck with the fruit coming in from Frankland, Mount Barker and Margaret River all at the same time with no discrimination between varieties. There is usually a regional time gap and a varietal gap as well, but not this year. It seemed like all the whites were ready within a 2 week period and wineries and vineyards worked tirelessly through the period to get the fruit harvested within this picking window. And thankfully they did. The resulting white wines look fantastic. It was feared with a warmer summer and early harvest that the aromatic varieties may have struggled but the Riesling, Semillon and Sauvignon Blanc look truly varietal in character with lovely ripe flavour profiles and underlying acid structures. Great drinking in the near future. Following the harvest of the whites, we were starting to think of booking holidays in March! Unheard of good weather gods intervened. March came in cold and damp. 3 degrees below the long term average and we started to wonder if the sun was going to shine and finish what we saw as being a vintage of great potential. And this is where with challenge comes reward. With the whole red harvest in the balance the easy (less stressful) thing to do would be to harvest, it was close to the right flavour profile, but not quite there. In the Great Southern region this year fortune has really favoured the brave. The sun came back with a vengeance in April, with the temperature maximums 3C above long term average, the vines basked in its warmth and the final ripening was complete. 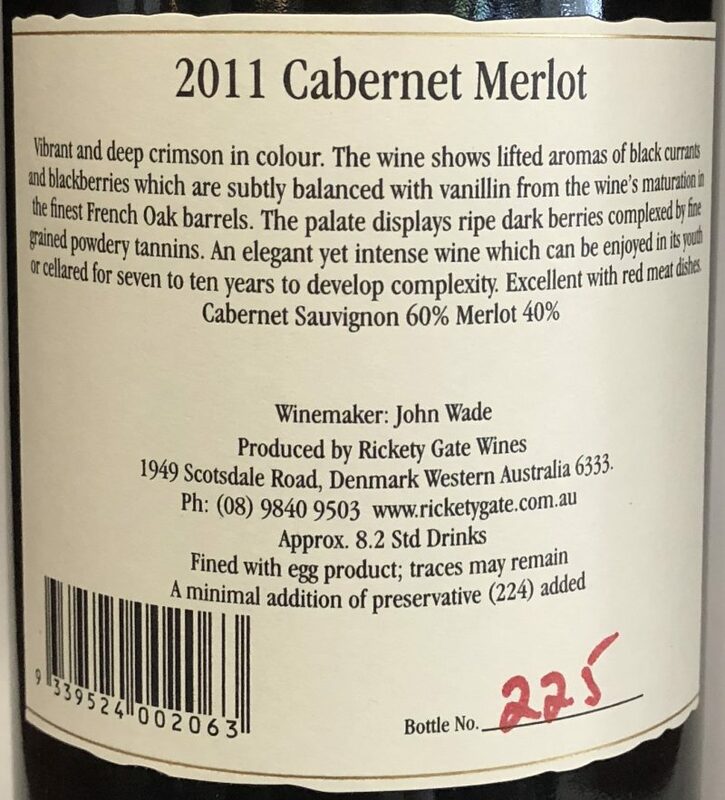 The Cabernet Sauvignon from the region will be outstanding, a long ripening period, soft ripe tannins and beautiful blue fruit, cassis flavours will see them drink well early and have great aging potential. The shiraz will have spicy notes underlying red fruit characters and also have good aging potential. In all, another fine vintage from the Great Southern region, though not without moments of intensity and stress, but the end result has made it all worthwhile.